Washington (AFP) - The last US maker of cluster bombs will cease producing the controversial weapons, which are banned by most governments because of their capacity to kill or maim civilians. In a little-noticed announcement Tuesday, the Rhode Island-based aerospace company Textron said it would no longer be making its "Sensor Fuzed Weapon" -- the trade name for its cluster bomb -- because of falling sales. The bomb "is a smart, reliable air-to-ground weapon that is in full compliance with the US Defense Department policy and current law," Textron spokesman David Sylvestre said in a statement to AFP on Thursday. "However, in light of reduced product orders, we have decided to refocus our business to meet the future needs of our customers." An earlier announcement from the firm said the change would result in an unspecified number of job cuts. A filing with the Securities and Exchange Commission said the "current political environment" had made it tough to gain US approval for foreign sales. In May, the Obama administration moved to block sales of cluster bombs to Saudi Arabia for use in Yemen, amid reports of mounting civilian casualties there. 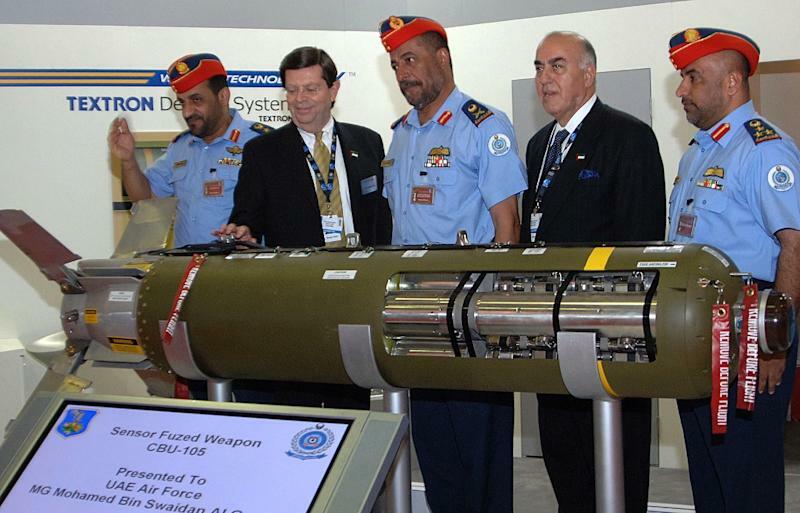 Cluster bombs are designed to kill enemy personnel and destroy vehicles or runways. But because they disperse many smaller bomblets over a wide area -- some of which may not explode for years or even decades after being dropped -- they pose a particular threat to civilians. The bombs were banned by an international treaty in 2008, but among the countries notably not part of the agreement were the United States and Russia. Mary Wareham, the arms advocacy director for Human Rights Watch, said the Textron announcement was "hugely significant." "It clears the path for the US to move even closer towards the convention on cluster munitions if it wishes to, and ultimately to join it," she told AFP. A coalition of non-governmental organizations led by HRW said in an annual study released Thursday that more than 400 people were killed or maimed by cluster bombs around the world last year.